Can beacons bring new opportunities with big data for retail? Numbers indicate we may see beacons in retail driving more data soon. Retailers around the world are still learning how to work with data. Since the introduction of modern data analytics in the 1990s, the market has been preparing for technology to change the way we do business. Data analytics, of course, are not new. What is changing, however, are the possibilities of data analytics. The IoT means increased data generation, and retailers in particular are set to win big—or at least see big changes. 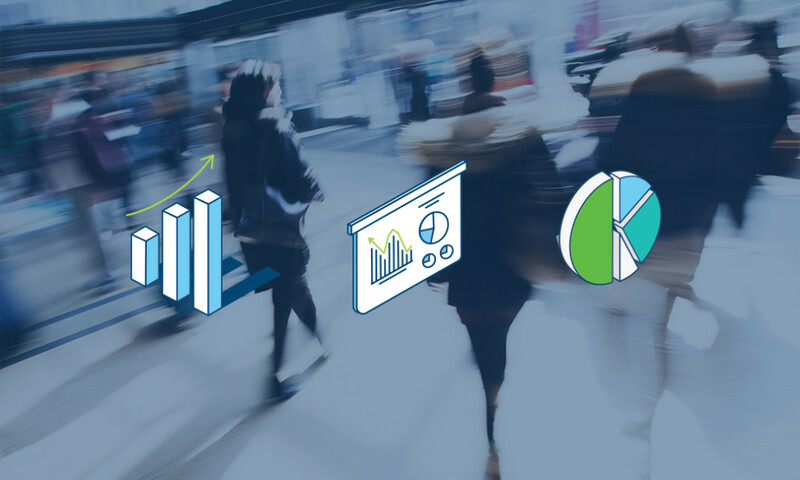 Data means smarter campaigns, smarter resource management, and endless personalization for communications with customers. What’s holding retailers and proximity marketers back? It’s clear that big data in retail is no laughing matter. Unfortunately, it’s not always easy to manage. Despite years of talk, many companies have yet to walk the walk, and there are several important reasons for this. One reason retailers are not yet ready to play with big data is the cost and investment. How should retailers capture data? How should they efficiently plug data into their existing business? And how should they create a truly omnichannel marketing system? Despite the hype, excitement, and genuine possibilities, retailers must be prepared to answer all these questions before moving forward. Bluetooth beacons are an incredibly hot buzz word these days. Big data, IoT, beacons—retailers want all of it. However, many retailers don’t quite understand how beacons even work. The beacon hardware is exceedingly simple. It broadcasts a single message at regular intervals that is then picked up by Bluetooth-enabled devices. This message is nothing special. In fact, it’s more or less just the ID number, indicating which beacon it is. The real magic happens elsewhere. Both of these identifiers achieve the same results—tracking users from the digital to physical worlds. Think of them like a cutting-edge cookie. They track actions not only online but across devices and even in apps. Luckily for solution providers, there’s not much difference between the two fundamentally. Most importantly, these consistent IDs make it much easier for businesses or developers to interact and understand data. Then, there’s Attribution. Attribution is about understanding exactly who is receiving a message. Instead of just throwing a message out into the wild, or knowing only that it went to faceless, nameless, altogether information-less user is a very way short-term of thinking. Attribution tells the app or program manager who is receiving what messages and whether they’re interacting with messages. Attributing interaction (or lack thereof) to specific users in specific spaces creates the kind of data that can prove whether an ad is working. Now, you can begin to see exactly what makes a message successful and what can be improved. Solution providers design the apps and platforms that make this location information valuable. With the beacon’s identification information, an app can recognize that the user is located in the make-up section or at the exit. Again, very basic data. It’s combining all these little points into Big Data that creates insights. Knowing that your customer entered, received and engaged with a personalized promotion on mobile is a pretty interesting data point. So what happens next? Did your users go straight for the promoted product? Did they completely ignore it? Did many similarly grouped users buy the same product? All these little data points add up to insight for retailers. But it’s up to solution providers to find out what data is valuable and how to capture, store, and display it. It’s up to these innovative companies and start-ups to turn data into the footfall metrics and heatmaps described above. Startup Favendo installed beacons in the popular Les Terrasses du Port shopping center in Marseille. With 190 shops, the mall had plenty of untapped data for the beacons to illuminate. For customers, the app used push notifications to make shopping more enjoyable. For business in the mall, the app meant insight into how customers moved both in individual retailers and around the space in general. Uptake has been key to driving results. Downloaded over 69,650 times and boasting an average 18 minute view time, the app effectively captured data points on how users moved. Through data analysis, managers saw that too many shoppers were exiting the mall after visiting a handful of anchor stores. Other shoppers, however, would stop for a snack. Of these who stopped, 72% would continue shopping. Looking closer, they found food options in the mall were often packed at peak times, driving away would-be diners and shoppers. Their response? Make more space in the food court. This increased dwell times of all customers who visited the anchor store by 42%. Personalized promotions are the bread-and-butter of beacon popularity. Customers expect personalization, and an increasing number of studies are finding that users are willing to swap data for better experiences. One study from Salesforce surveyed over 7,000 customers and had absolute unbelievable findings. That’s it. Customers simply won’t stick around if they don’t feel brands and retailers are living up to their expectations. More importantly, with all the options and successful personalized campaigns out there, these shoppers will find what they’re looking for. Beacons enable the connection of offline and online data as well as the chance to streamline omnichannel marketing tactics. A study from Experian found that personalized promotion messages received a 29% higher open rate and 41% higher click rate. It’s all about the app. Again, solution providers are key when it comes to providing value with beacon data in retail. It’s the platform that will connect a user’s past purchases and online shopping persona with their real-world location. Segmenting is key. 35-40 years old female shoppers who saved the same item in their online basket are drastically different from other segments, and they should receive messages that reflect their needs. If social authentication is required, that’s yet another key ingredient to personalized communications. Data on these repeat customers is also the most valuable for retailers. A major study from BIA/Kelsey and Manta found that, of companies surveyed, 61% earned more than half their revenue from repeat customers. These repeat customers also spent 67% more than new customers. Retailers are installing hundreds of thousands of beacons. A recent Proxbook Report found that data monetization and proximity retargeting are continuing as the fastest growing proximity services. IBM found that 62% of retailers report analytics and data as a competitive advantage for their company. Industry guru Stephen Statler estimated expected US retailers to purchase over a million beacons in 2016 for deployment. The only real question is how solution providers will fit into the scene. Beacon data and capabilities are increasingly coveted by retailers and managers, so how can solution providers craft apps to get the most of data? Which companies and platforms will be successful and how will they surprise us? Data analytics have been a major start-up topic for some years now. After many quarters in the spotlight, there are two key points most businesses can agree: first, big data, when properly leveraged, can be indispensable; second, big data can easily be misused. It’s easy to misunderstand the role of data. Given the title “big data,” many instantly think the more data, the better. But this isn’t the case. It’s crucial that any businesses looking to use beacons in retail for data purposes first define what makes data valuable. What’s the real goal of your data? Collecting data that just fills up silos (whether because it’s not important or not usable) is a waste of time and resources. There are three key ways to reuse beacon data in a retail setting: in-store optimization, retargeting, and monetization. Each of these is very different and may require different kinds of data. For example, to optimize store layout, you may need to understand how customers move. To retarget users, you’ll need to know a little about their history. To monetize, you’ll have to be ready to work with other brands. Many of these companies who deal in monetization will have specific requirements. If businesses want to use beacons in retail to engage customers, they must begin by solving a problem. As the shoppers at Les Terrasses du Port demonstrated, there is always a way retailers can better themselves. As popular as the shopping destination was, visitors had needs that were going unmet, and they tuned in to beacons because they were useful. Companies are achieving incredible success with beacons because they put the user first and offered solutions their users would actually use. Many retailing apps are simply out of date and not fit for modern user expectations. It’s not up to users to find value in apps and then download them. Retailers must show users that the apps are worthwhile. In short: know your beacon strategy, and know your data strategy. When beacons first appeared on the retail scene several years ago, there was an explosion of interest. There were huge success stories splashed across magazine covers and incredible stories of high-tech interactions with shoppers. Many of the possible use cases for beacons in retail have already been tested. Almost everything has been done, and retailers now have magnitude of options to pull from. This year, stores are realizing that the real value of Bluetooth in their shops and storefronts is the possibility of long-term returns. There’s no doubt that users will continue to find value in push notifications, indoor navigation, and other use cases in their local stores. However, it’s time for managers to begin thinking long-term and take hold of the data they generate every day.